"Do you have just the band?" the HEADBAND (ear band) "Just the band" A narrow appliqued mountainscape band without the rest of the hat. 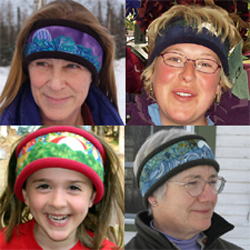 Lined with polar fleece with an elastic drawstring closure makes the headband warm and adjustable.